There are so many important people who are involved with helping you to plan your Wedding and what better way to thank your female helpers and show your love for them than with some beautiful bridal jewellery. After all, wedding jewellery isn’t just for the bride! But where do you start when trying to choose the perfect jewellery to show your love? We are asked this on a daily basis and so we will be sharing our top tips on spoiling your can u order flagyl online Wedding party with bridal over the course of the next few blogs. Today we start with a very important person on your Wedding day, your Mum. Your Mum has been there for you your whole life and no doubt she will have played a key part in all your Wedding plans. A Wedding is a very emotional occasion and jewellery is the perfect way to show your Mum just how much you love her and appreciate all her hard work in helping you with your Wedding. I would suggest giving your Mum a classic piece of jewellery, something which she can wear forever and remember you and your Wedding by every time she does. 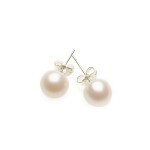 My favourite recommendation as a wedding gift for mum would be a pair of freshwater pearl earrings. Our Ivory Elegance studs, from our Ready-to-wear collection are totally fitting as a beautiful reminder of the day, and available for just £24 gift wrapped and ready to give. Perfect! Also available in other colours too should you want to coordinate with their outfit.